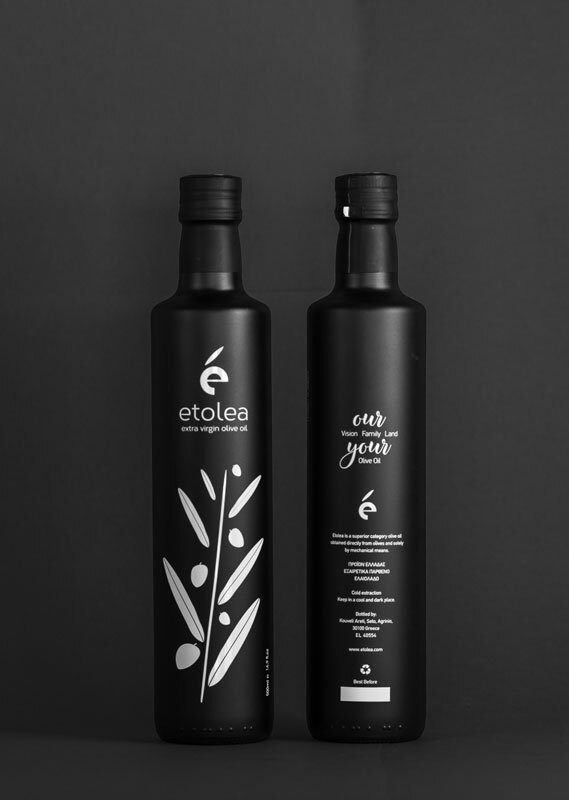 Etolea black is a high quality olive oil of premium class.It is produced directly from a blend of Koroneiki and Hondroelia varieties. Hondroelia comes from a cooperative of producers in Agrinio, found in the region of Etolea,Greece. When choosing our partners we set the standard extremely high. First of all, collecting the crop with tenderness and care, making sure it was pressed immediately and afterwards stored inside stainless tanks in a specially designed and air-conditioned room, under constant daily supervision were essential.. 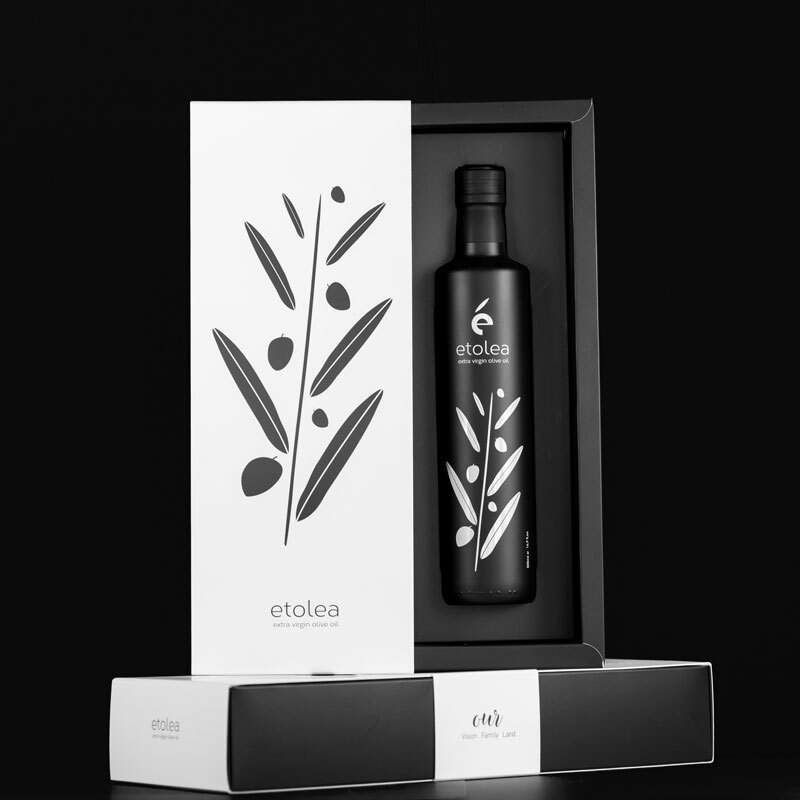 In order to protect the product from the sun’s rays and heat but also to preserve its beneficial properties an essential specification was for the product to be bottled unfiltered in a 500ml painted glass bottle. The bottling process carries our collective effort's care, bottle by bottle.Nothing is done automatically! This ensures traditional and excellent techniques during every phase and we convey our vision to you for an authentic, quality taste.